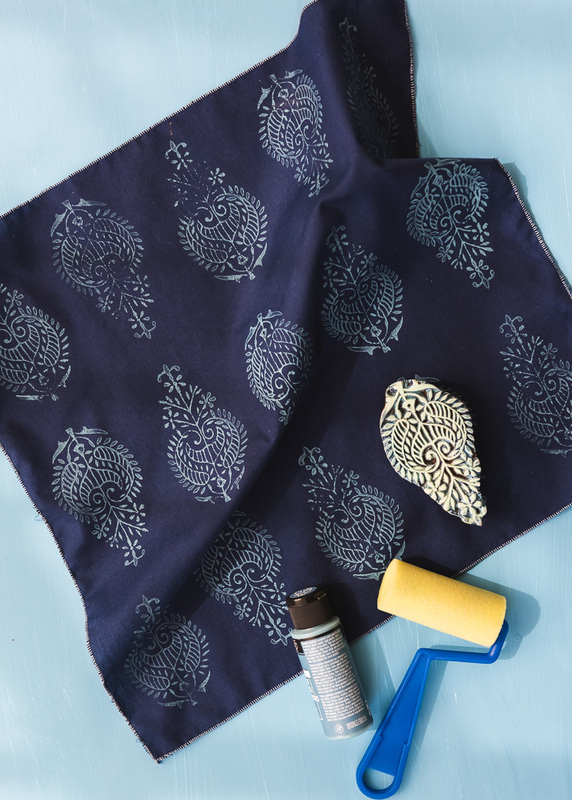 Are you familiar with Indian Block Printing? If you’re not sure, chances are you’d recognize it if you saw it. I absolutely love the look and have been searching for Indian block printed everything lately. From curtains to dresses to bedding, it’s such a versatile look and there are countless design options. We wanted to try our hand at the technique, and though we’ve simplified the process quite a bit, we’re thrilled with the end result! We also discovered that there is a treasure trove of Indian blocks available for purchase on Etsy at a reasonable price. 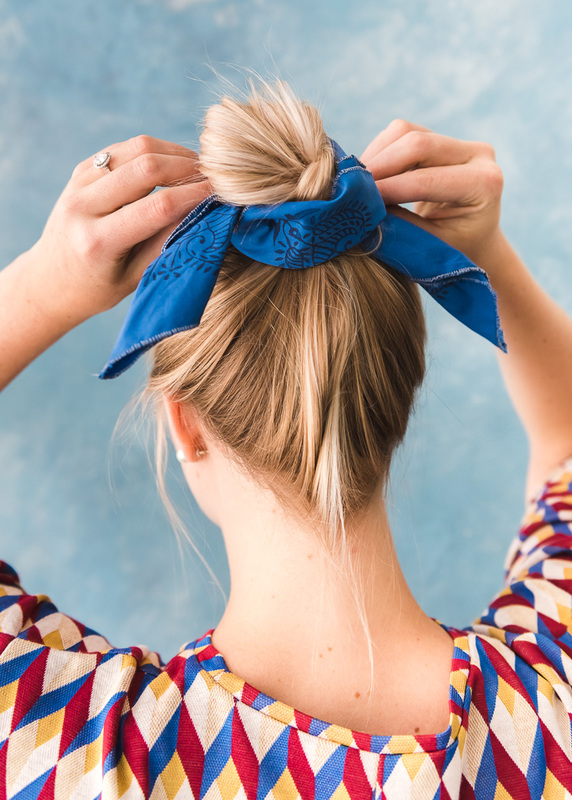 This is a great technique to use on items that need a little refreshing: think tea towels or scarves, or you can try it on a piece of fabric and transform it into anything! 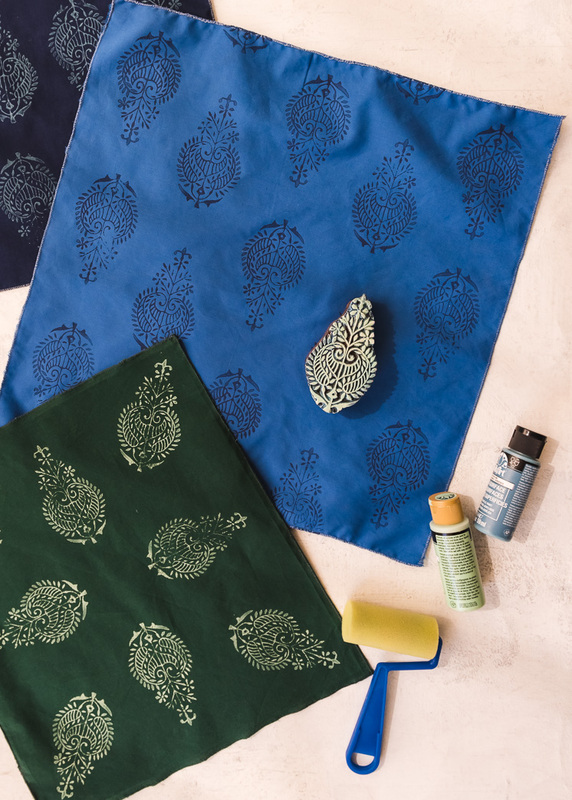 Follow the steps and try your hand at DIY Indian Block Printing! Prepare your fabric by pre-washing and ironing. 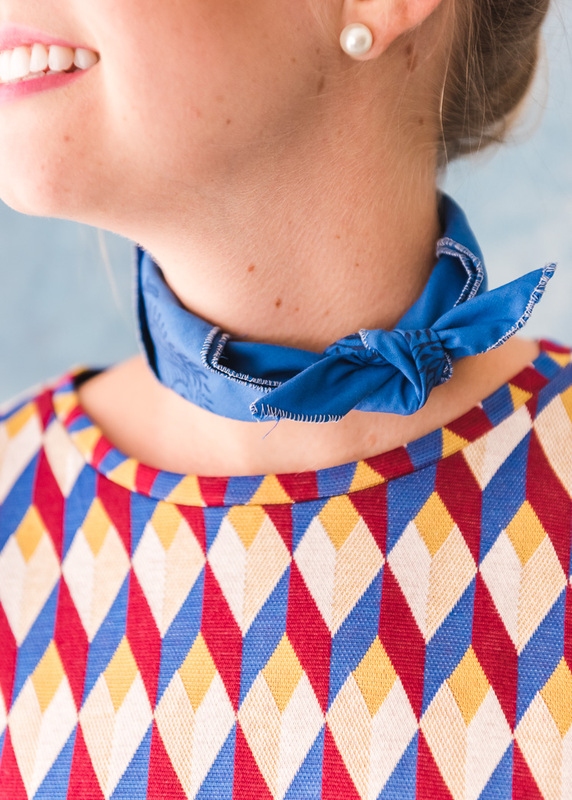 We created neckerchiefs by cutting fabric squares and finishing off the edges. 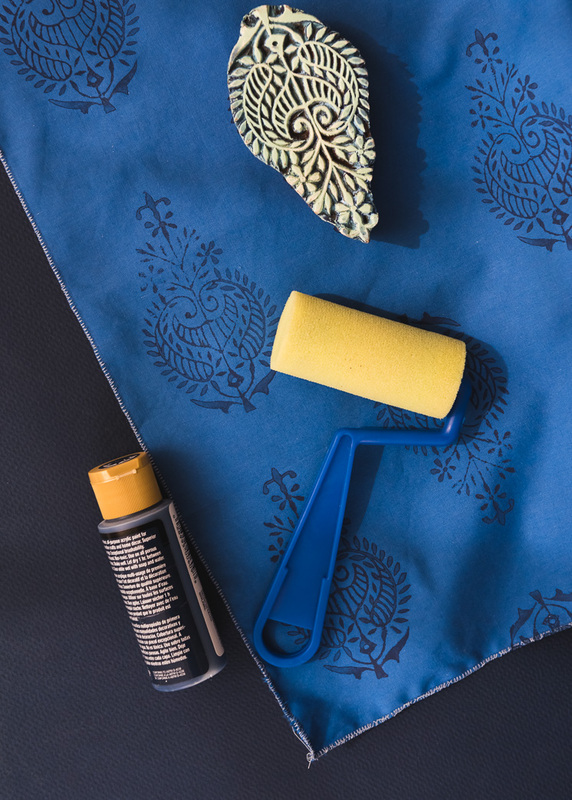 Roll your sponge or roller generously in the paint and roll evenly onto the Indian block. 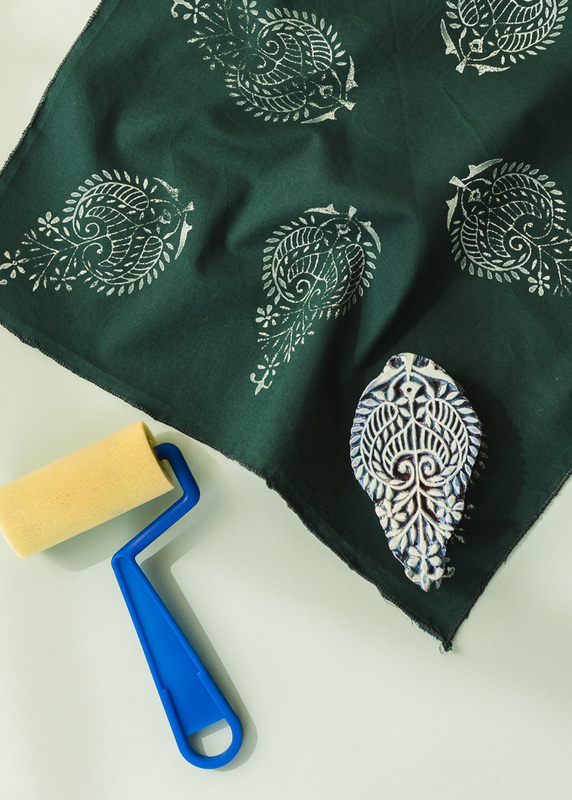 Place the stamp firmly onto the fabric and press down evenly along the stamp surface to ensure the paint is transferred to the fabric. You may use a mallet or hammer to help. Continue steps 2-3 for the rest of the fabric to create your desired pattern. 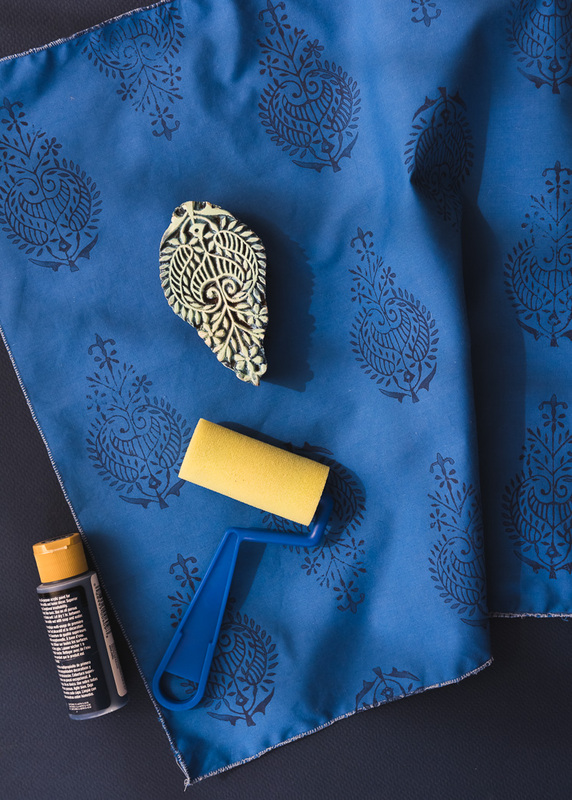 Once you’ve completed your pattern and it has had time to dry, heat set the paint with your iron, using a press cloth to make sure it the ink won’t transfer. 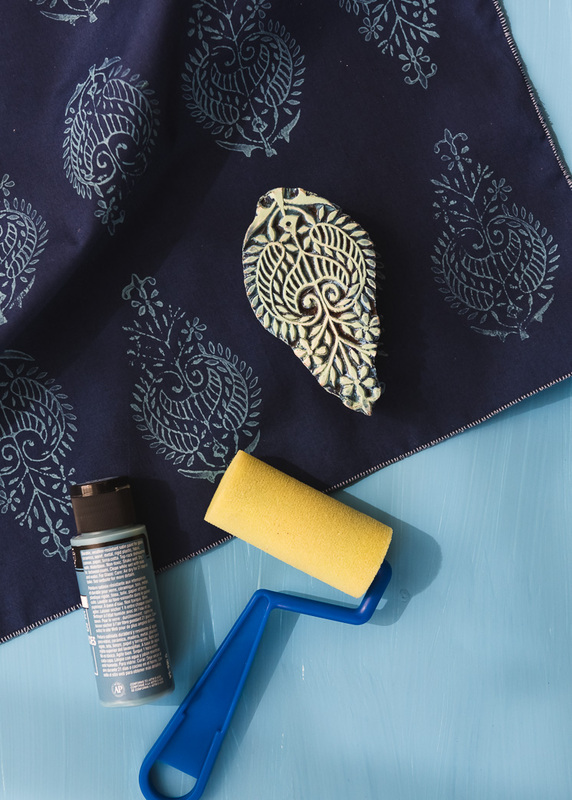 Now enjoy your new Indian block printed creations and share with us your designs by tagging @houselarsbuilt! Using a mallet helps a lot. Fixing the pattern with an iron is also a great idea. Besides, I love this stamp block. We carve botanical stamps. However, this one also looks great.